Former super bantamweight title holder Hugo Ruiz jumped up to 130 pounds at short notice to get a crack at the title holder Gervonta Davis, and things went as many expected when Davis fell and stopped Ruiz at the end of the first round. Davis (21-0, 20 KO) saw his usual destructive self against this level of resistance and seemed to have broken Ruiz's nose with a blow before the Mexican challenger went down the corner. The final stroke was a straight hook, with Ruiz giving a delayed reaction before he went down. Ruiz came up, but Judge Jack Reiss observed and decided that he was unable to continue and call a stop for the fight. Ruiz also did not seem particularly inclined to continue. Ruiz (39-5, 33 KO) stepped in to replace Abner Mares in this fight, as Mares suffered a detached retina in training. The 32-year-old Ruiz had just fought a few weeks ago and beat Alberto Guevara on Pacquiao Brons undercard. Davis retains his WBA super world-class super springweight. 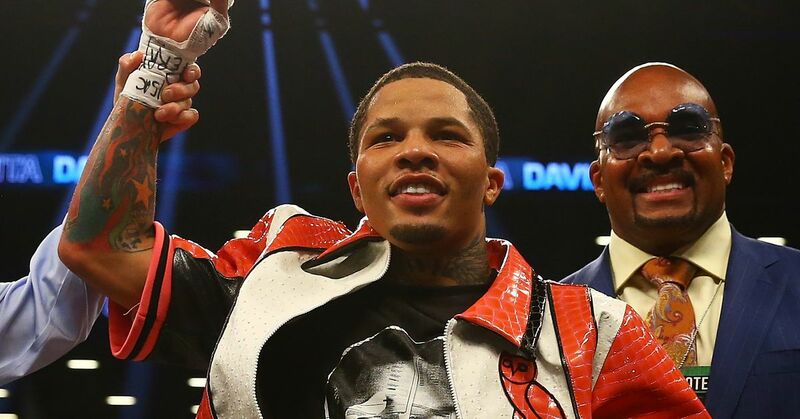 Speaking with Showtime's Jim Gray after the fight, Davis said: "My main goal tonight was to make a good performance as I did. I'm very confident that I'm getting more active this year. I have three , probably four games lined up this year. "He added that he wants his next fight to be home in Baltimore.